SVP concerned that vulnerable people will be unable to avail of ‘paperless’ billing and direct debit discounts or be able to switch between suppliers to get a better price. 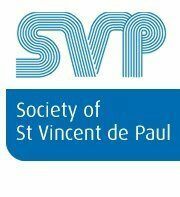 The Society of St Vincent de Paul (SVP) spent almost €9 million in 2014 on the fuel and energy costs of the families it assisted all over Ireland. In its recent submission to the Commission for Energy Regulation (CER) on the approaching smart metering programme, the charity stated that this sum of €9 million was a “very substantial share” of the over €40 million of assistance that it provided that year, however this is changing. “The overall amount of energy-related assistance is decreasing from a high in 2012 and this is in part due to greater use of Pay As You Go/Pre-Payment meters among people we visit and assist, giving them greater control over their energy use and day to day budgeting,” stated the SVP. In its submission, the SVP raised concerns that vulnerable people will be unable to avail of many benefits for example ‘paperless’ billing and direct debit discounts or ability to switch between suppliers to get a better price. 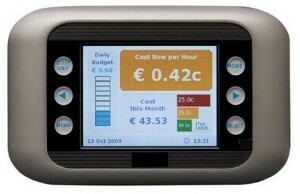 CER describes smart meters as the next generation of energy meter. They will replace traditional electricity and gas meters removing the need for a home visit to read the meter. They provide actual consumption information enabling consumers to reduce their electricity bill by shifting some of their electricity usage away from (more expensive) peak consumption times. CER states that informing consumers of their actual usage in electricity and gas will allow them to avoid unnecessary consumption and cost. – Acknowledgement of the limits facing financially constrained customers who may not have the capability to avoid the less desirable consequences of Time of Use (ToU) tariffs posed by the roll-out of smart metering over the next couple of years. SVP welcomed the provision of easy to access “at a glance” information that will be accessible by everyone rather than just by IT (information technology) literate and better off customers. However, it cautioned vulnerable customers may not be able to benefit from improvements. For example, currently customers who find it difficult to keep up with payments cannot qualify for discounts associated with paperless billing and direct debit, or with changing suppliers. Some pilot studies suggested the average savings would be 2.5% or around €50 per year per home in Ireland. However, The Times reported in 2014 that a cost-benefit analysis indicated households would save €16.20 a year on electricity and €18.52 on gas. Smart metering is an EU-wide project aimed at reducing usage and ultimately helping the environment through reducing overall energy production. • Security and privacy – who can see consumption data and what can they do with it? Other action groups against the metering have claimed that energy companies will use the information they gather on consumption for their own benefit and will not pass on any savings to consumers.